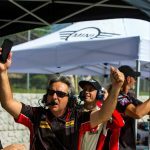 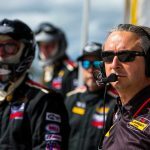 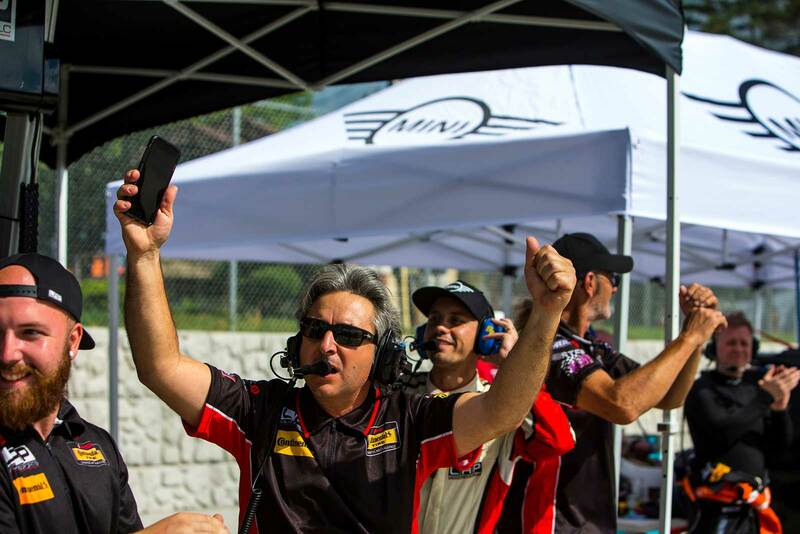 Team owner and all around great guy Luis Perocarpi is getting behind the wheel for the final ST race of the season and as it turns out, ever. 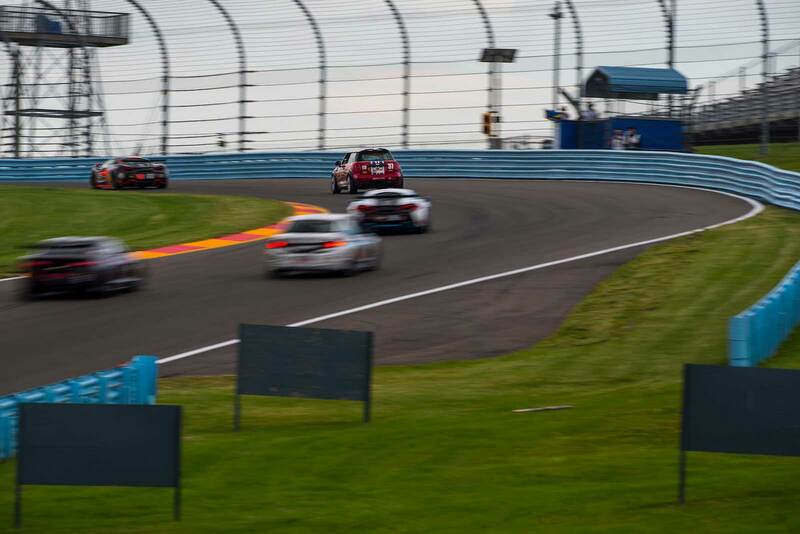 But its not just a throw away race. 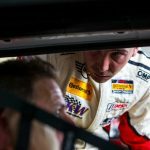 This will be a pivotal race as the team looks to our score BMW and take the overall Manufacturers’ Championship for 2018. 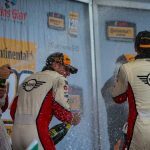 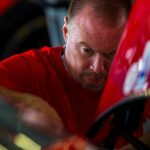 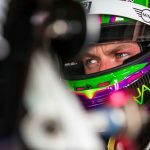 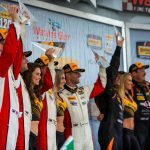 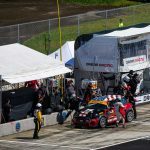 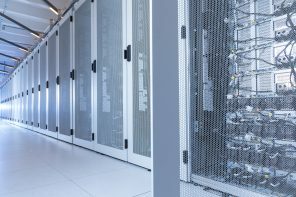 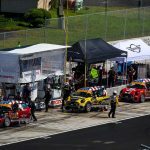 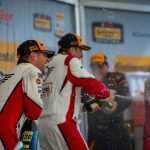 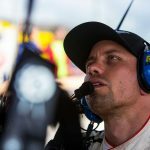 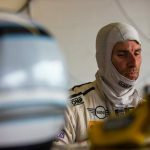 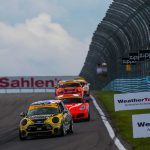 You can watch the race live on IMSA.com next Friday. 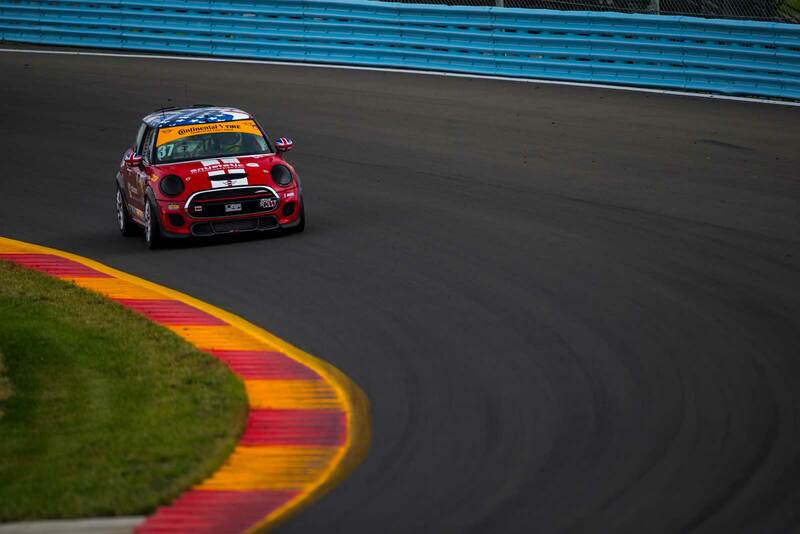 Official Release: MINI USA and the MINI JCW Team today announced that MINI JCW Team owner Luis Perocarpi will drive the #52 MINI JCW at the season finale race of the Continental Tire SportsCar Challenge Series on Friday, October 12, at Road Atlanta. 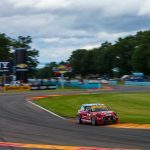 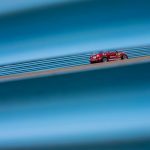 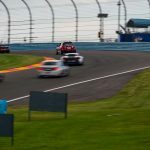 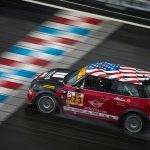 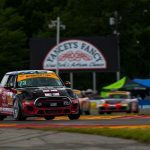 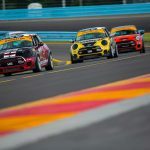 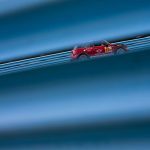 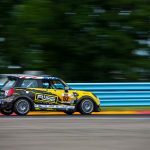 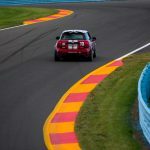 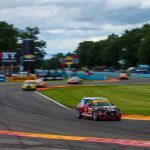 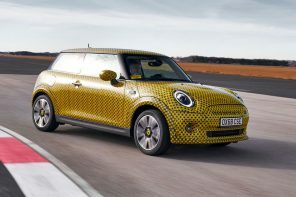 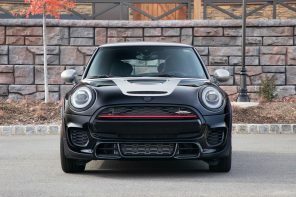 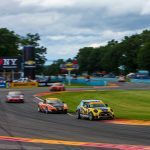 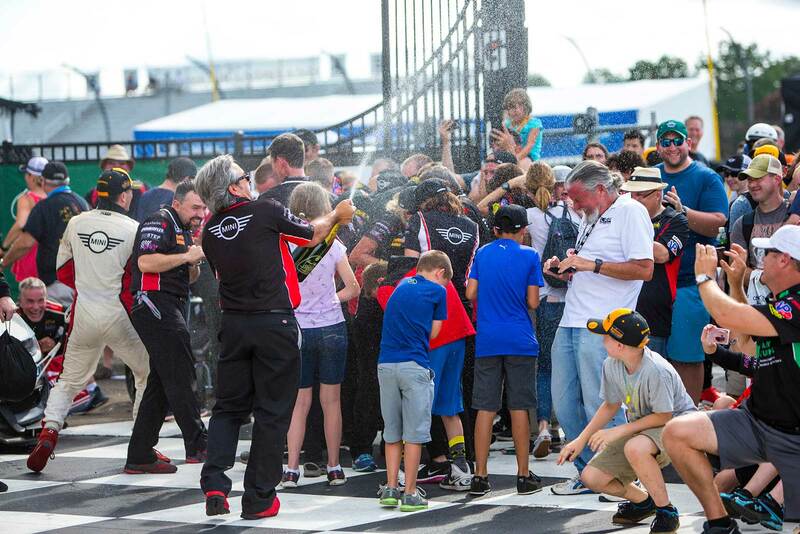 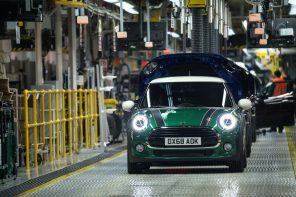 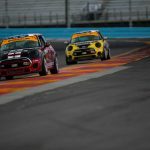 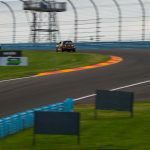 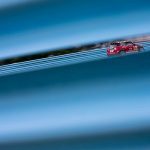 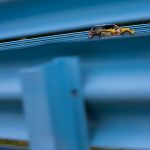 The Fox Factory 120 marks the final race for MINI with the International Motor Sports Association (ISMA) and the series finale for the Street Tuner (ST) class, which will end its 16-year tenure with the series next week. 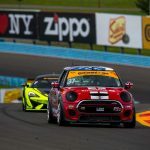 Perocarpi and the team are currently in second place in the Manufacturers’ Championship standings behind BMW and ahead of Porsche and Mazda. 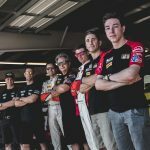 Perocarpi, who is no stranger to the driver’s seat, will take the wheel of the #52 to fill in for rookie sensation Colin Mullan, who was awarded the prestigious Team USA Scholarship. 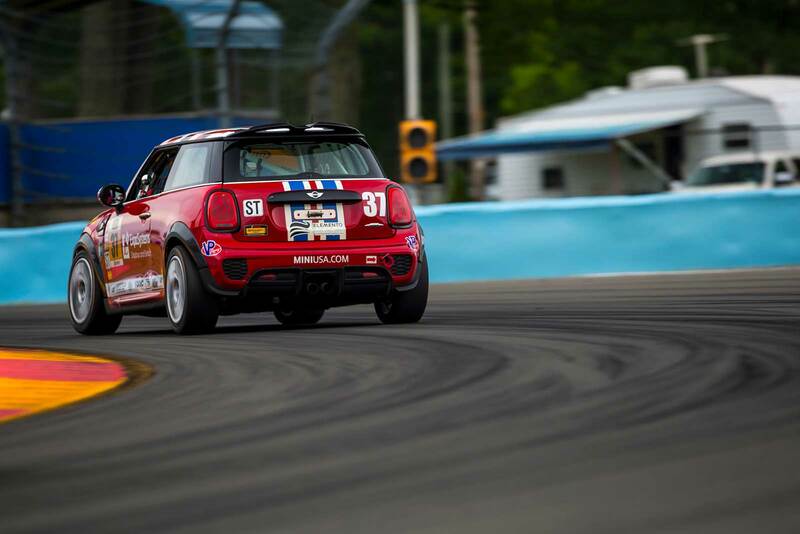 As part of the scholarship program, Mullan will be heading to Europe to compete in the Avon Tyres FF1600 Championship, the BRSCC Formula Ford Festival, and the Walter Hayes Trophy at Silverstone. 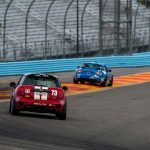 He will then qualify for the chance to win a scholarship for the world renowned Mazda Road to Indy driver development program. 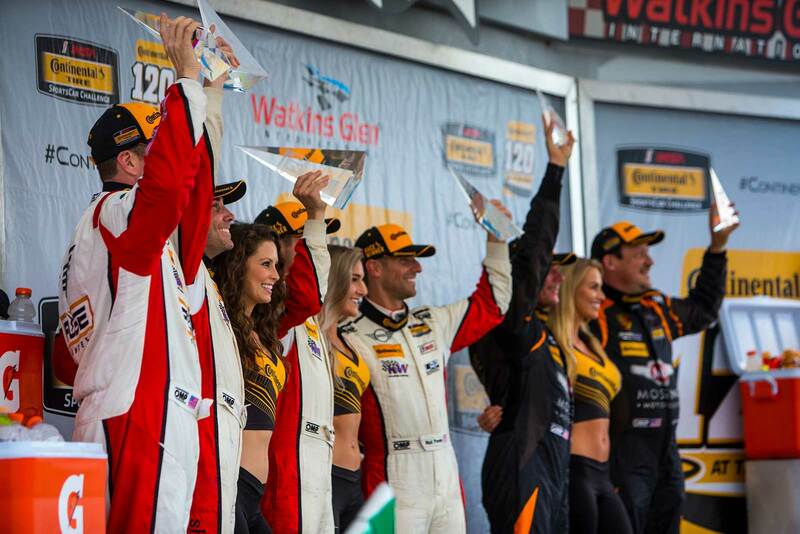 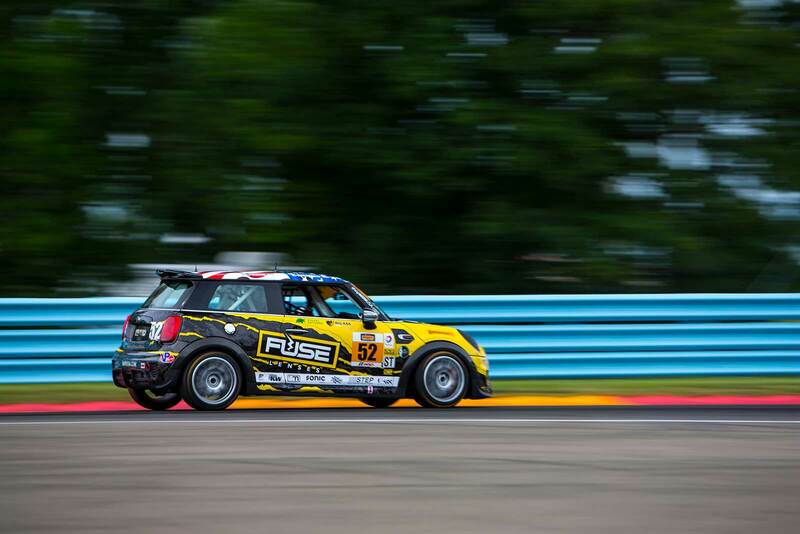 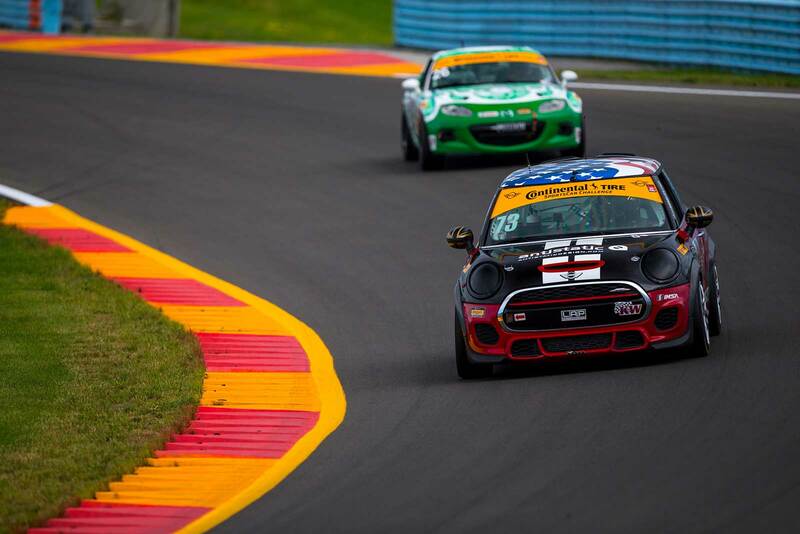 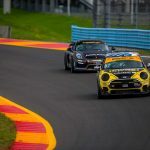 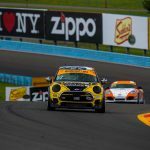 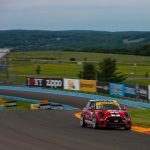 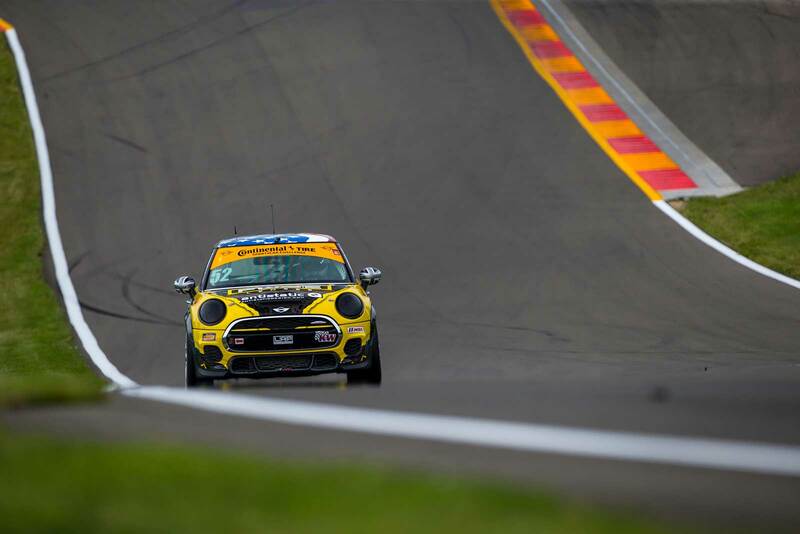 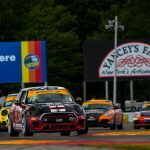 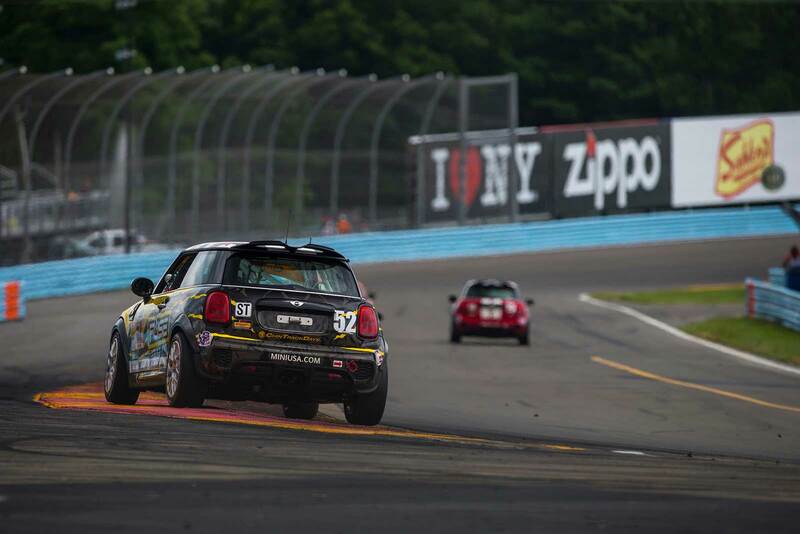 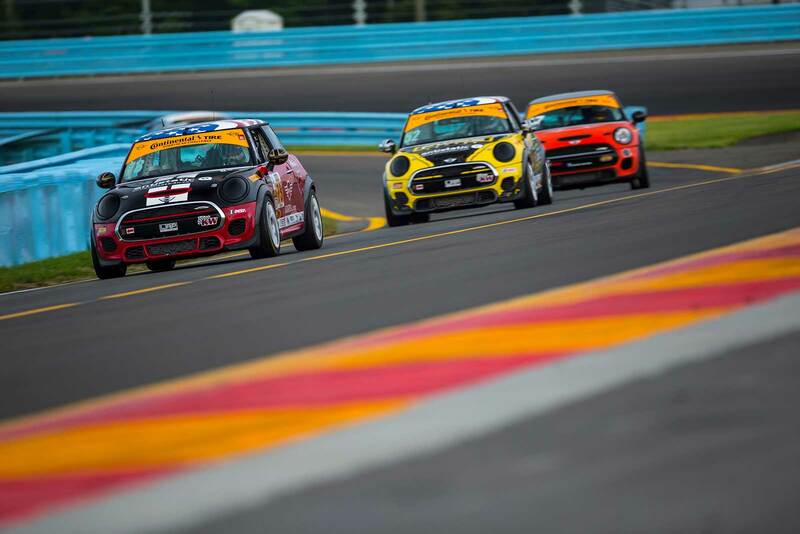 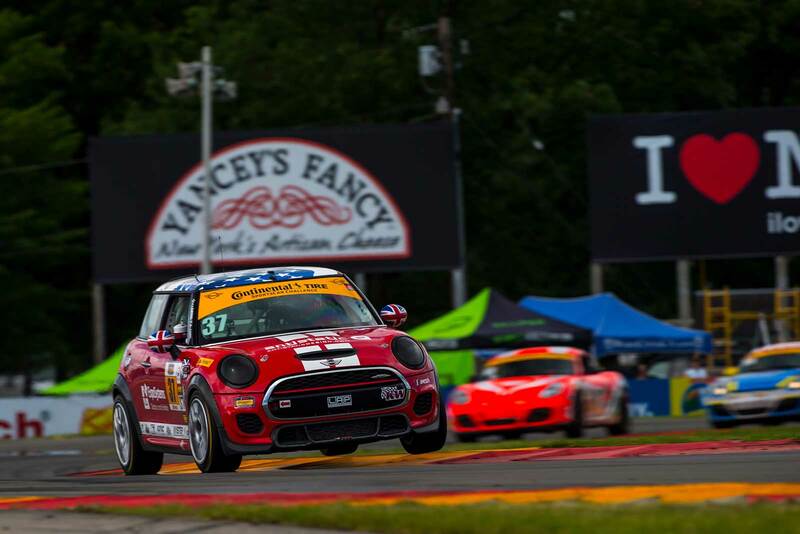 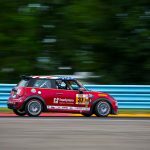 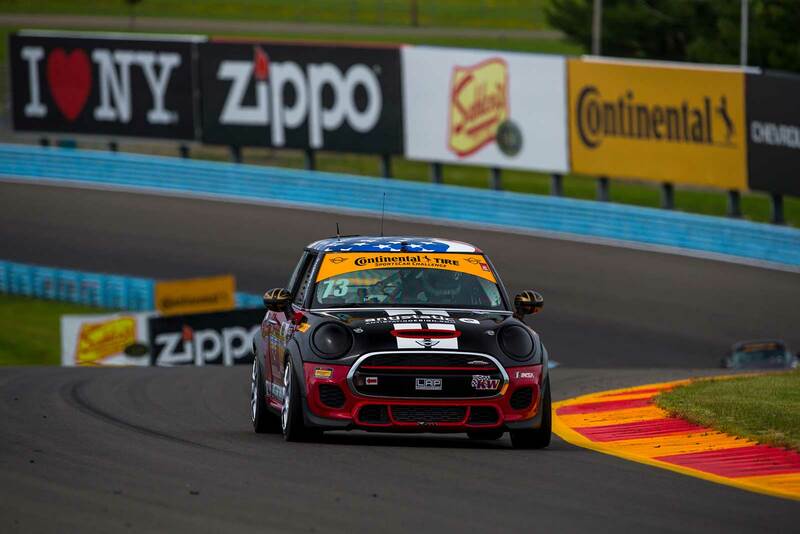 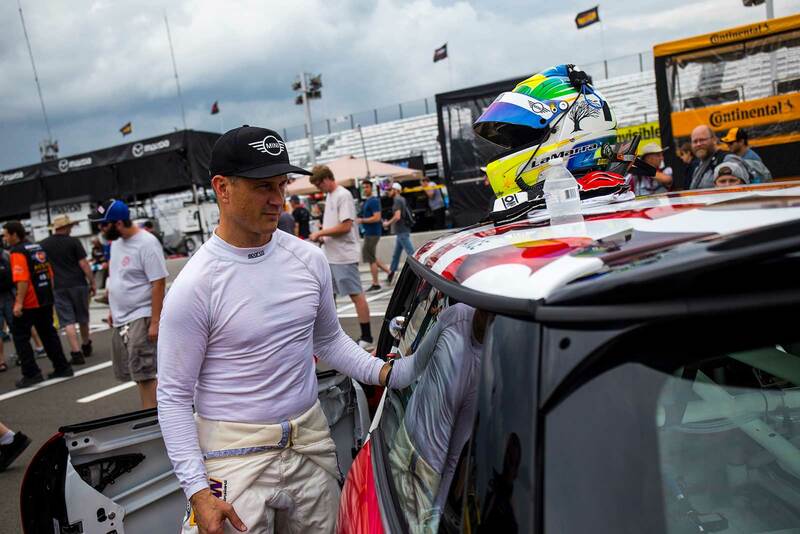 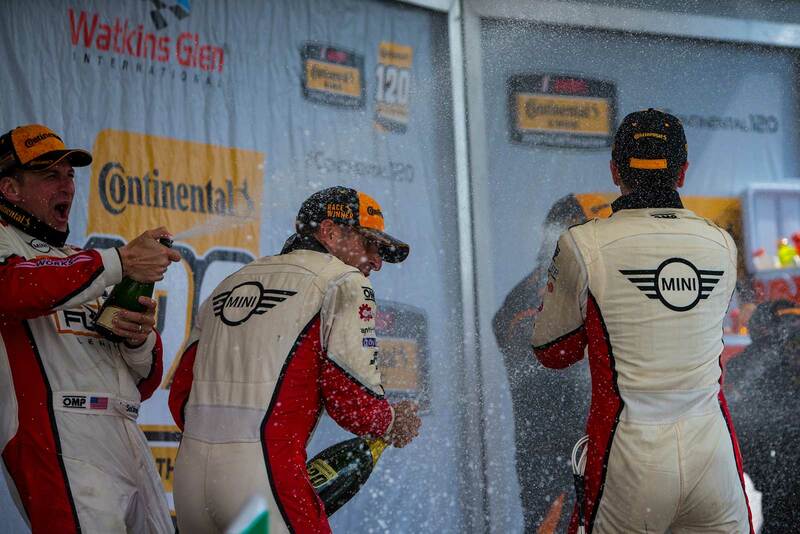 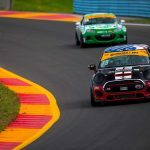 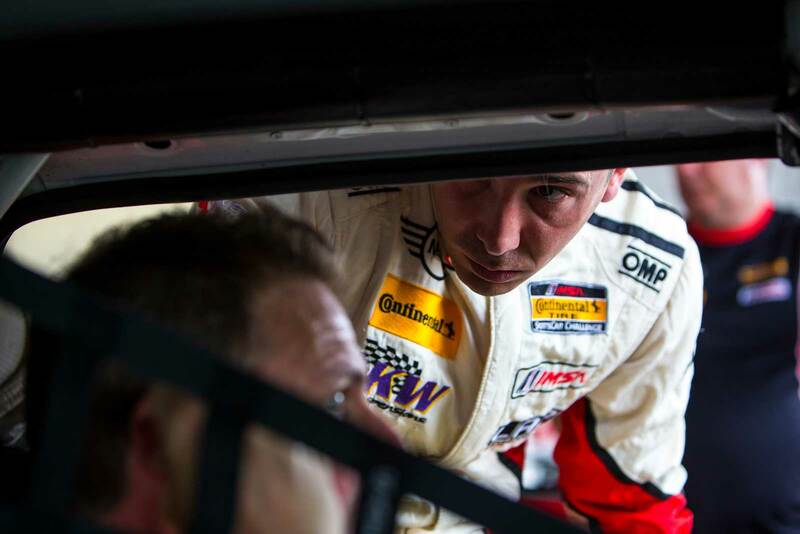 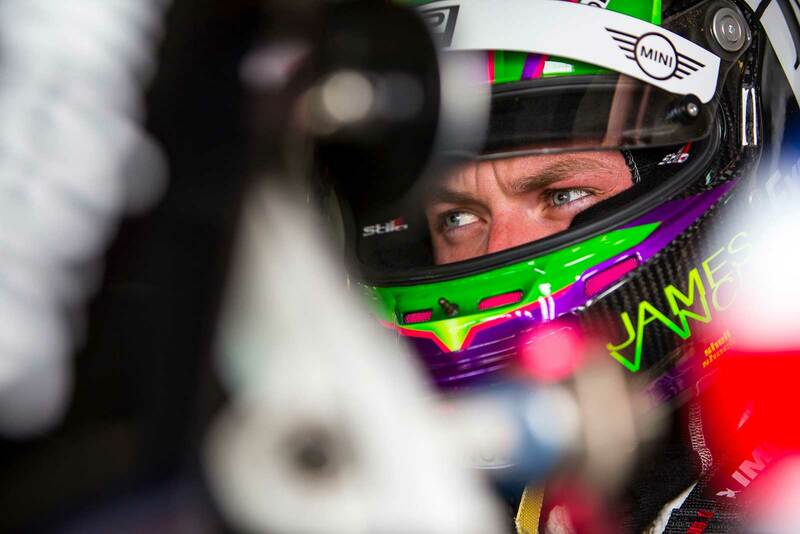 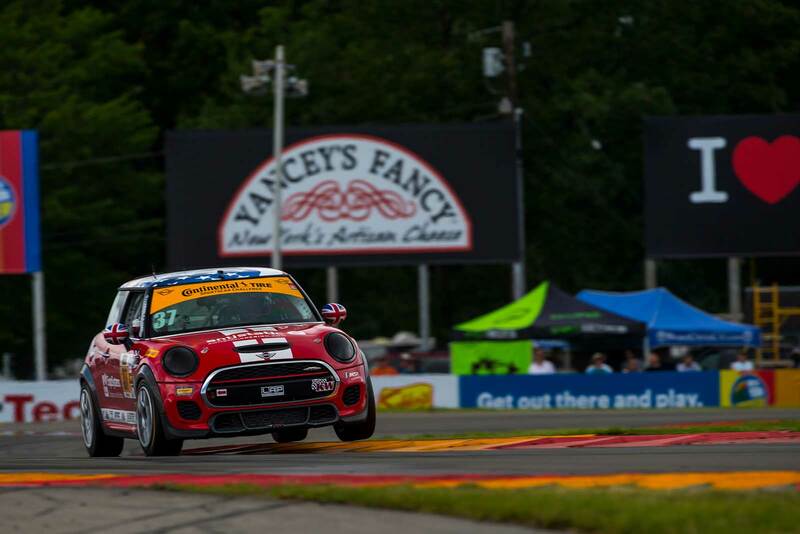 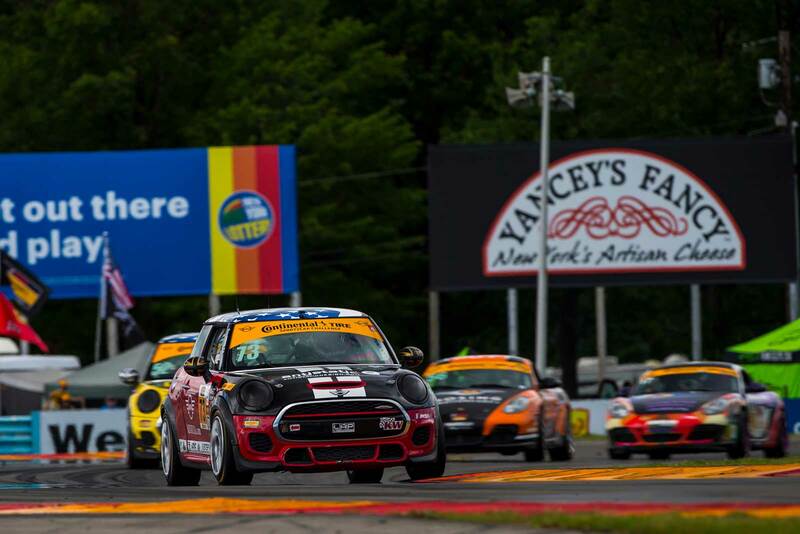 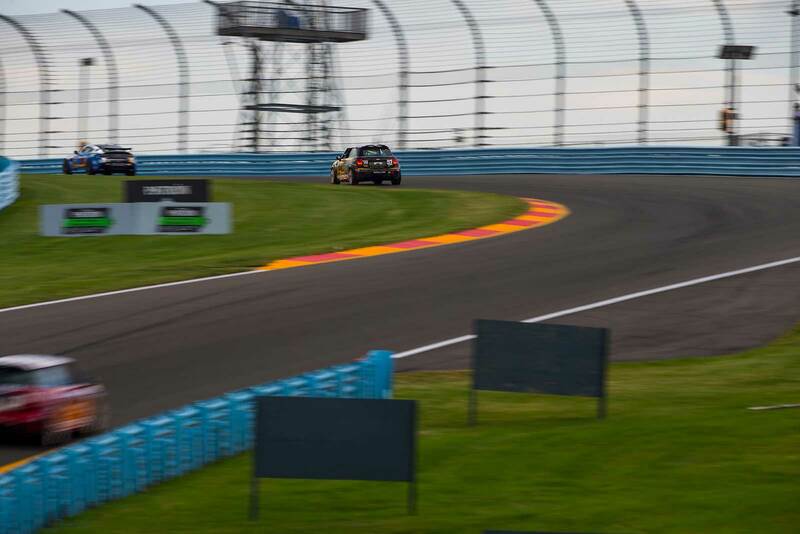 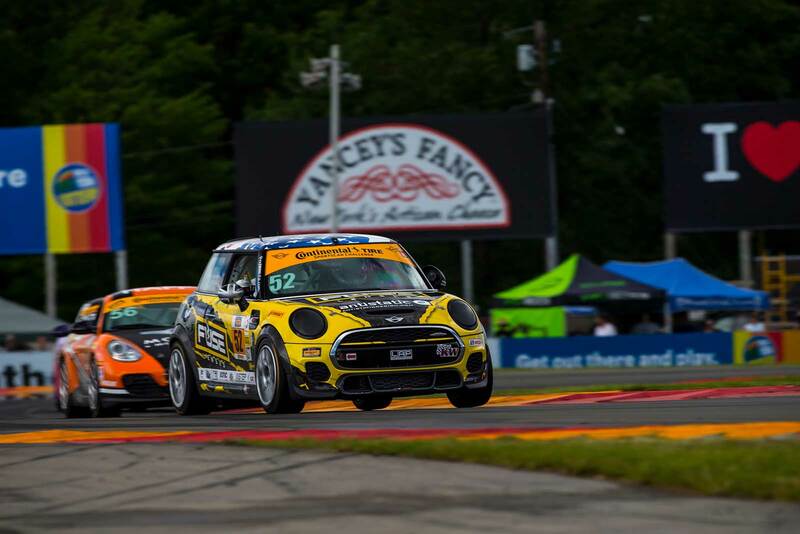 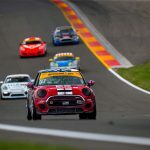 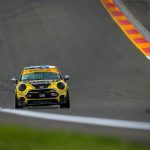 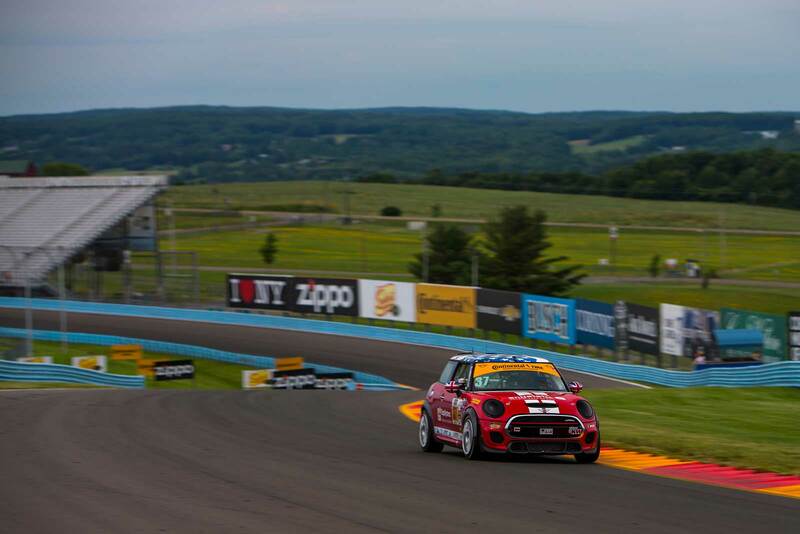 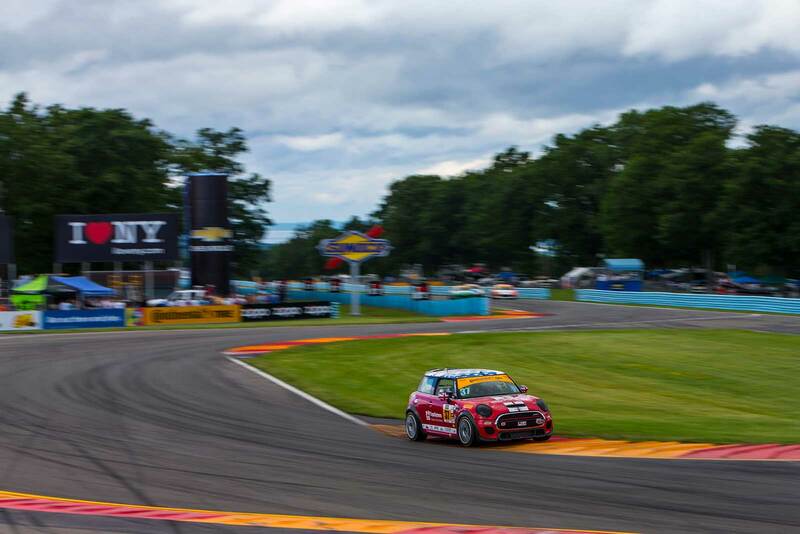 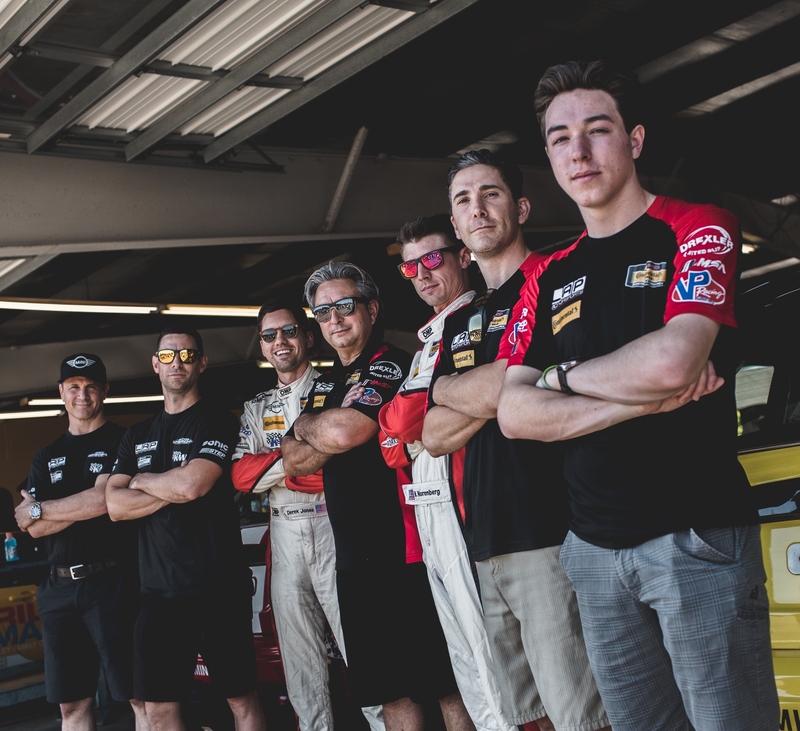 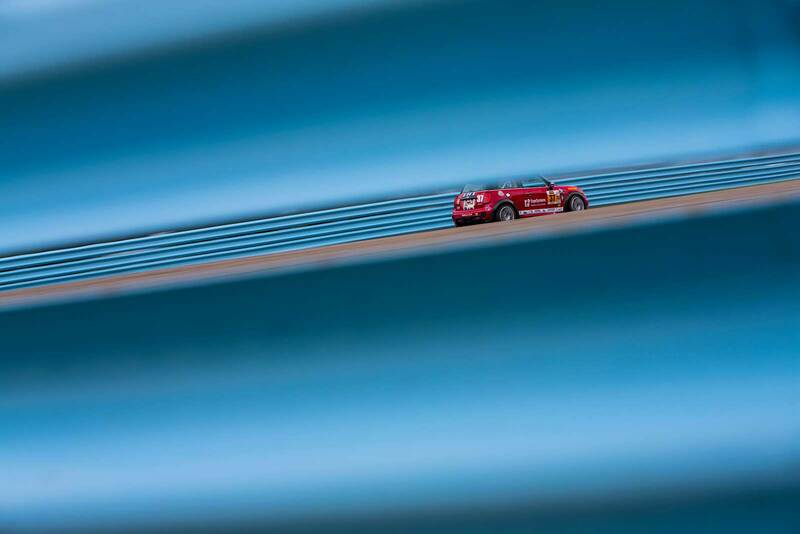 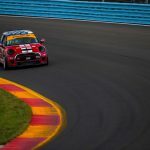 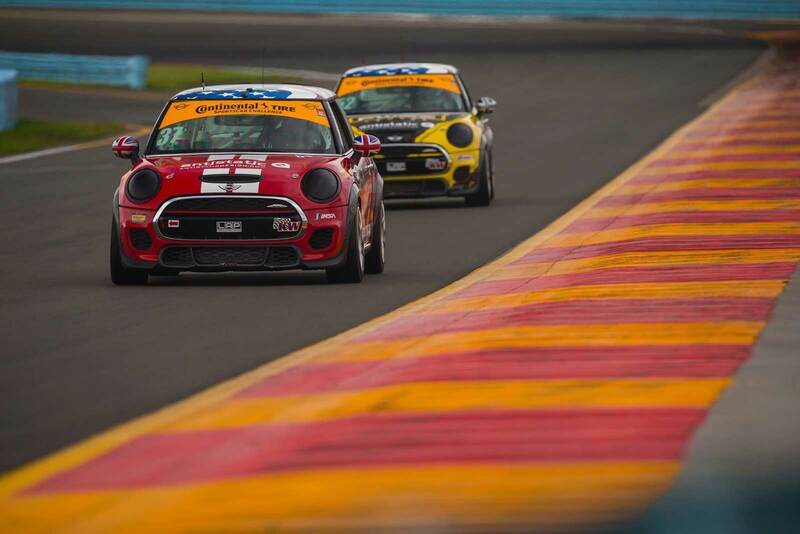 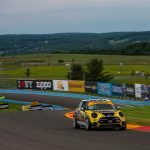 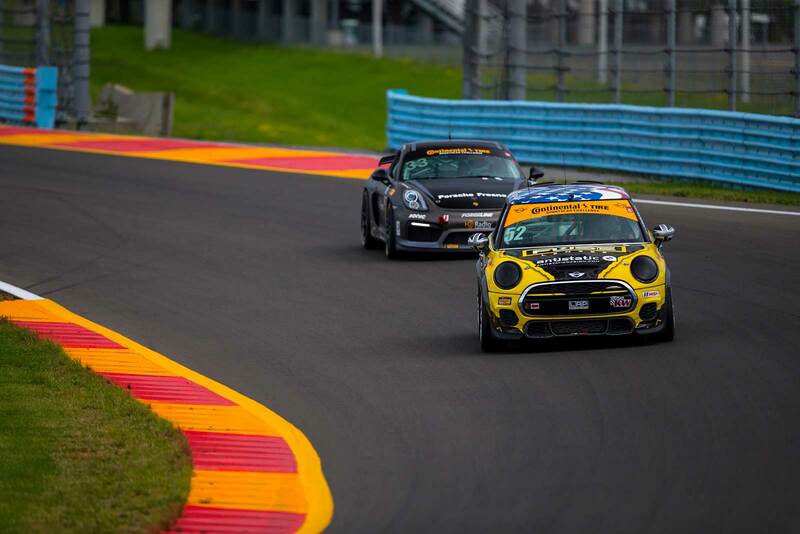 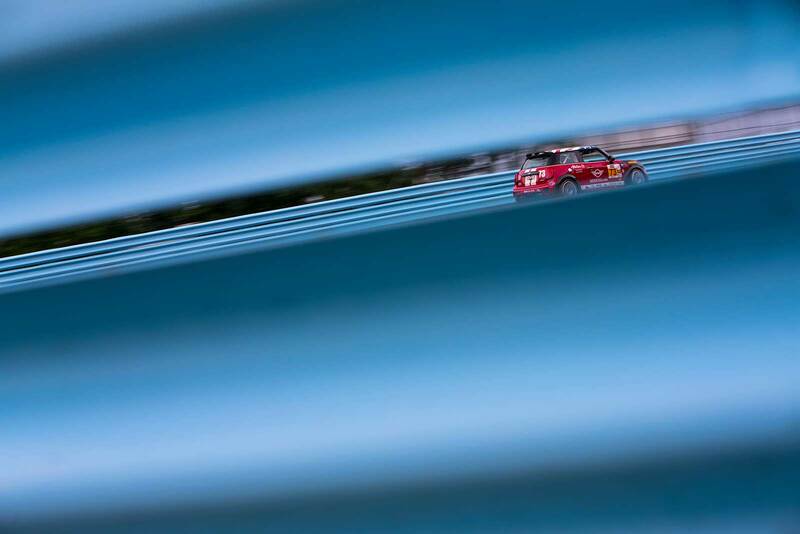 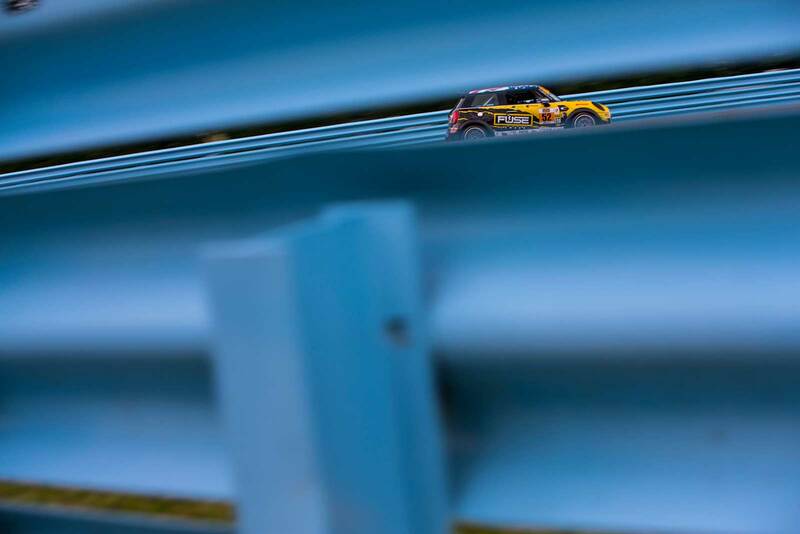 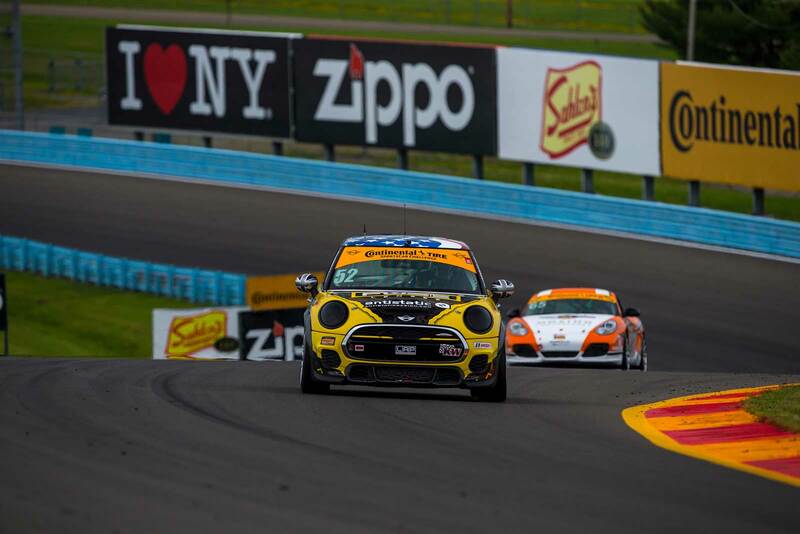 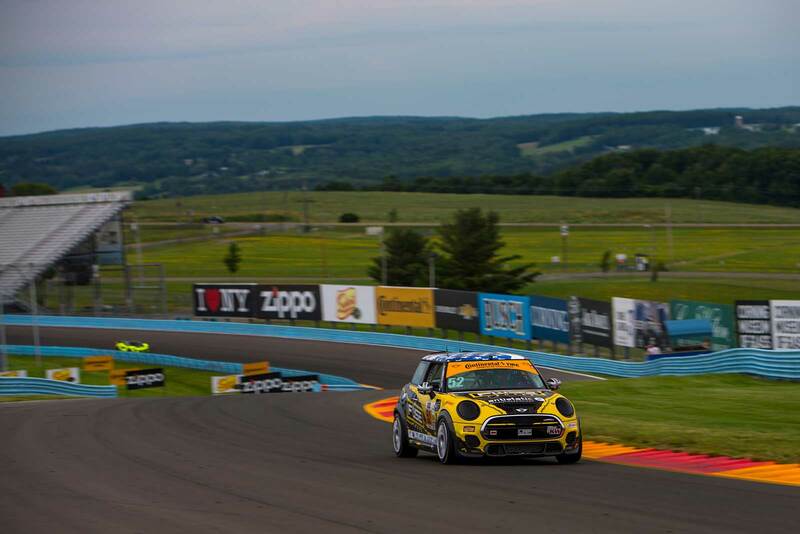 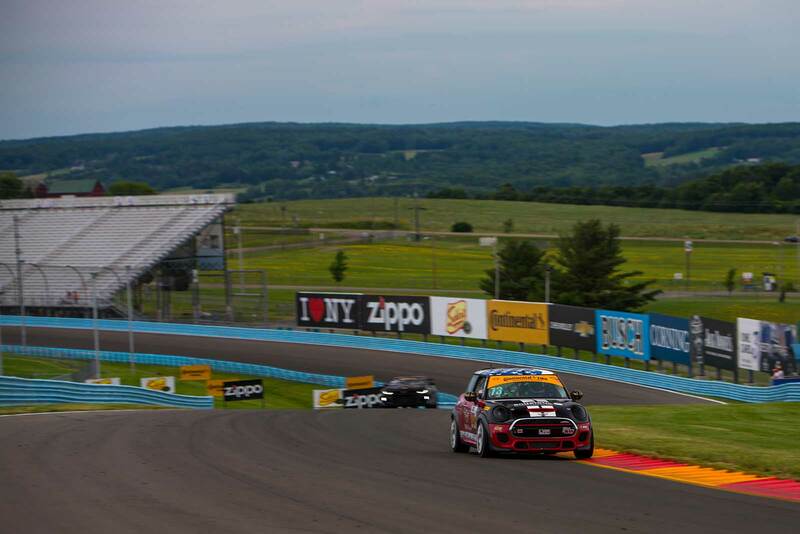 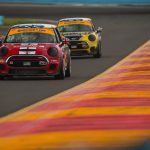 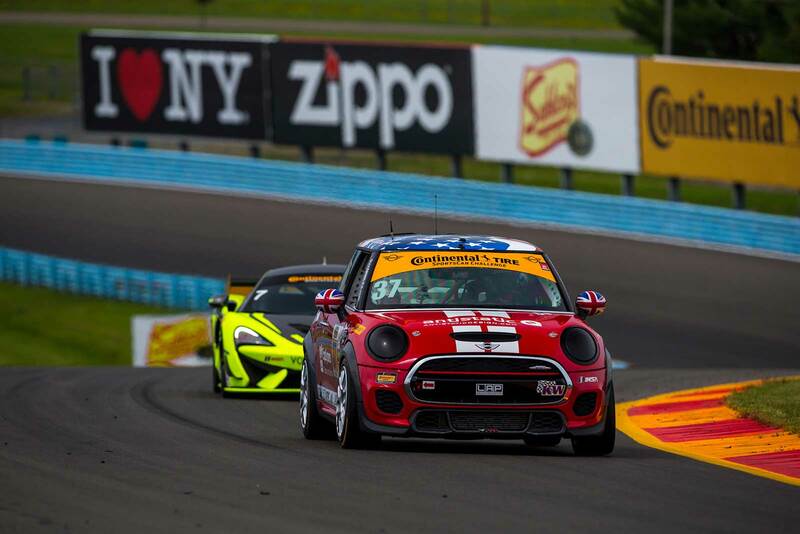 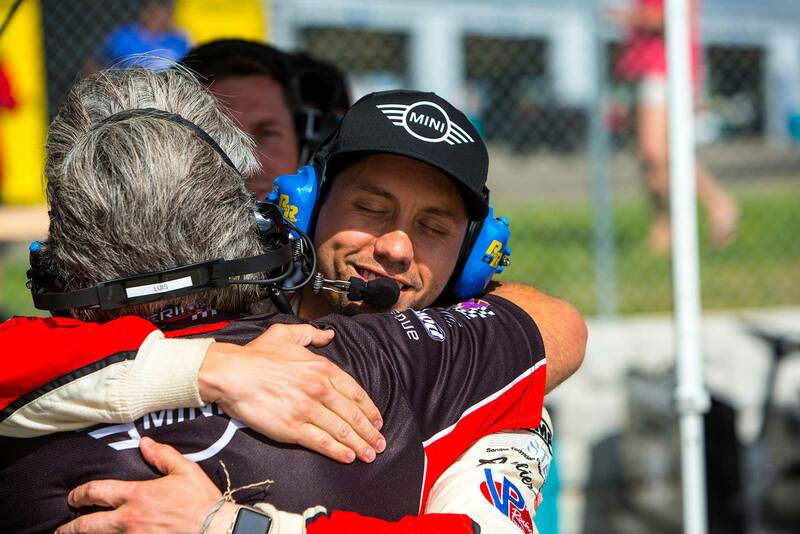 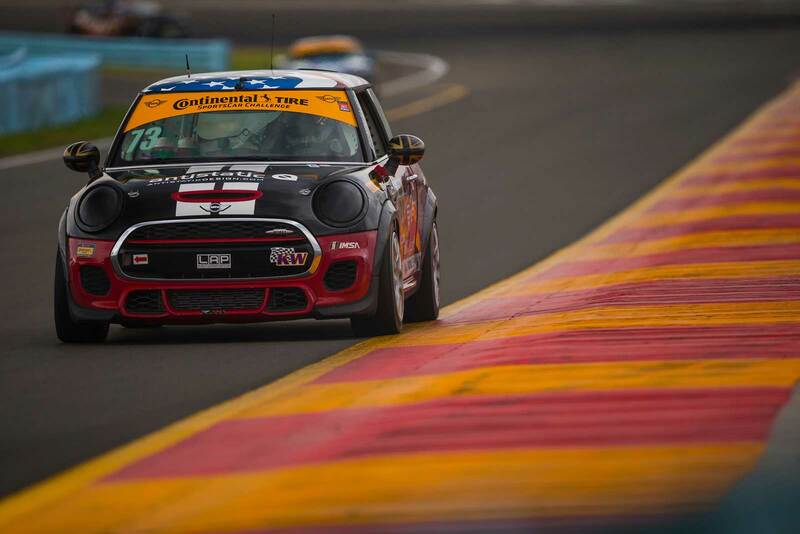 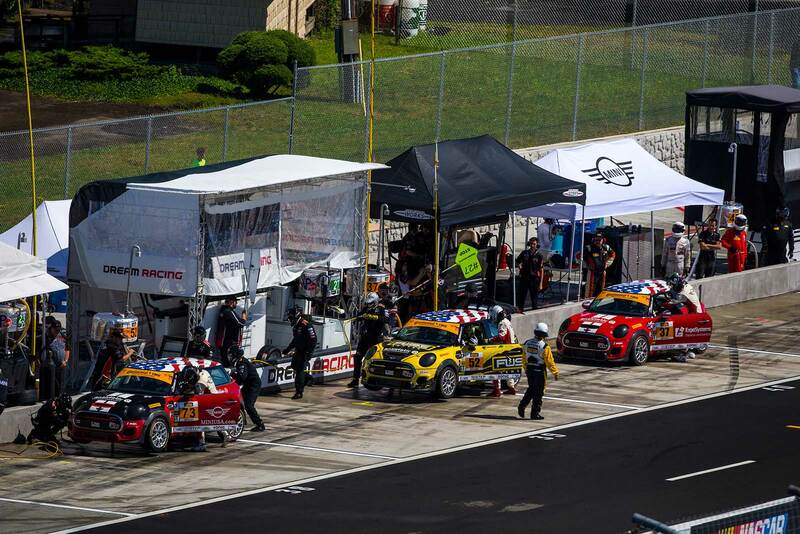 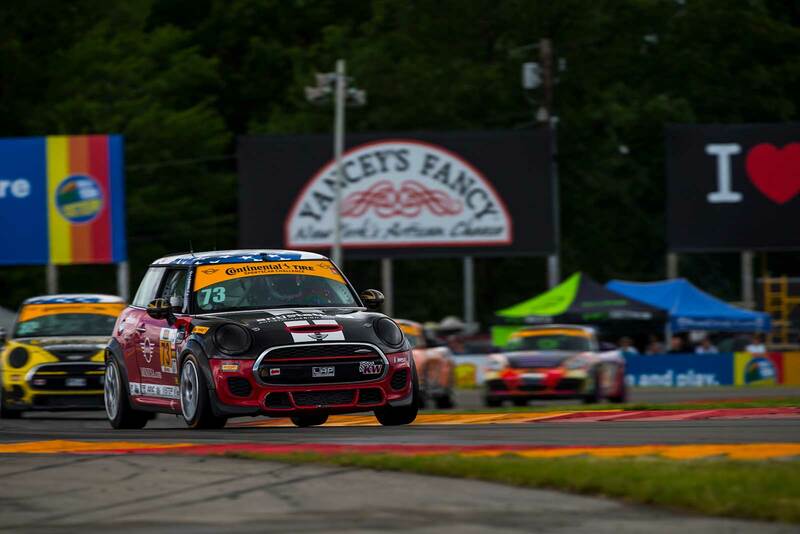 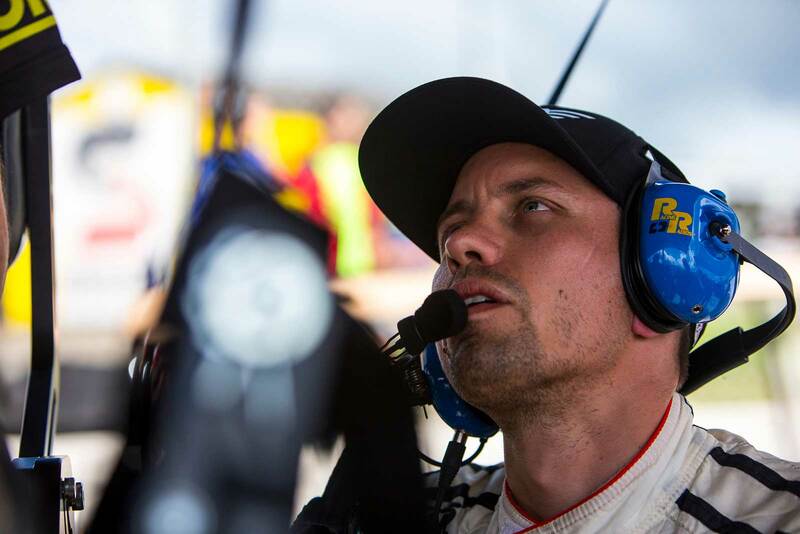 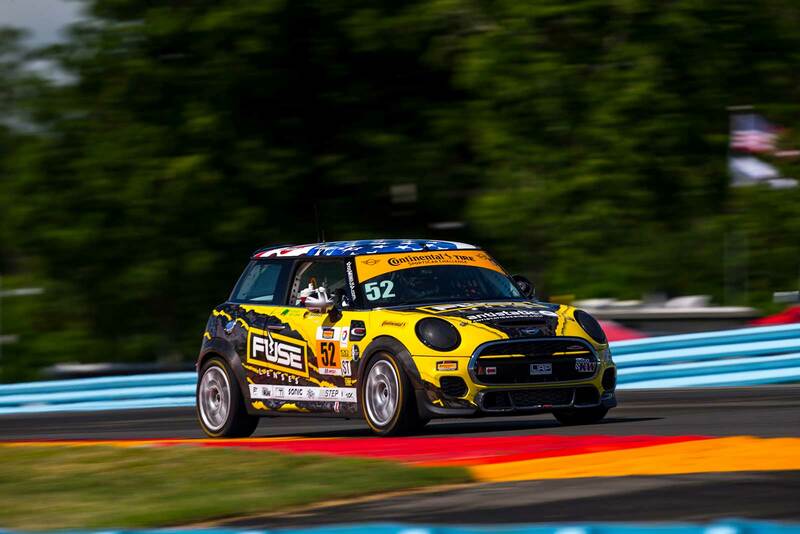 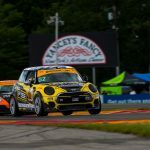 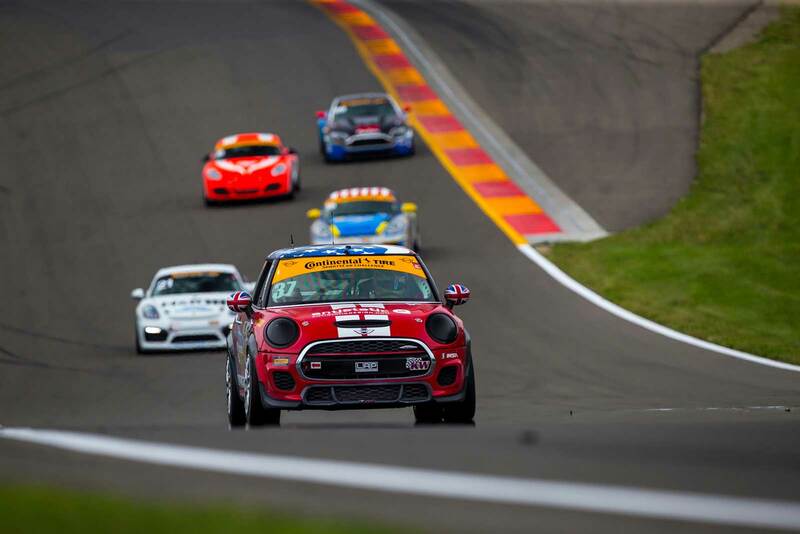 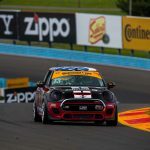 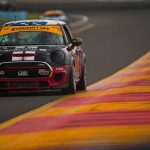 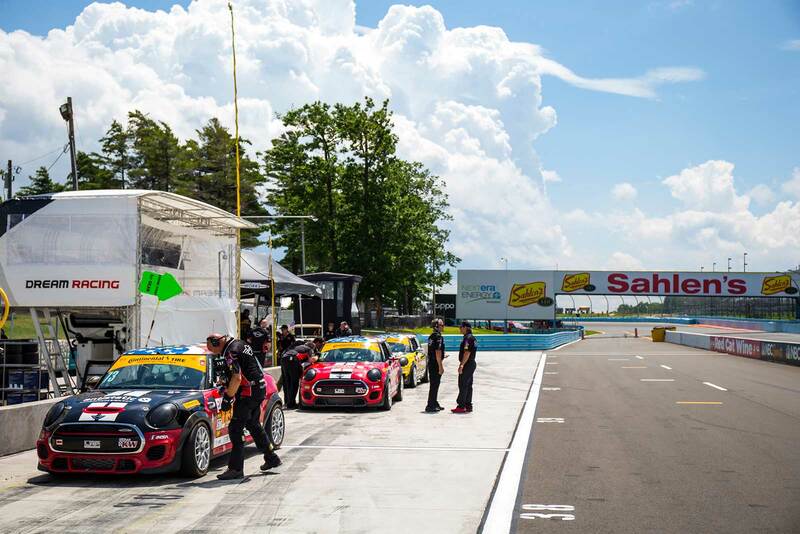 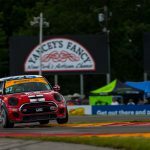 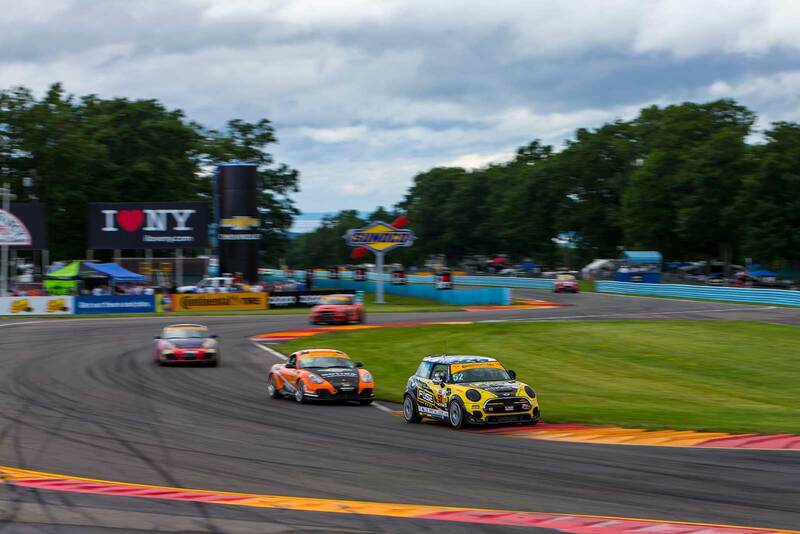 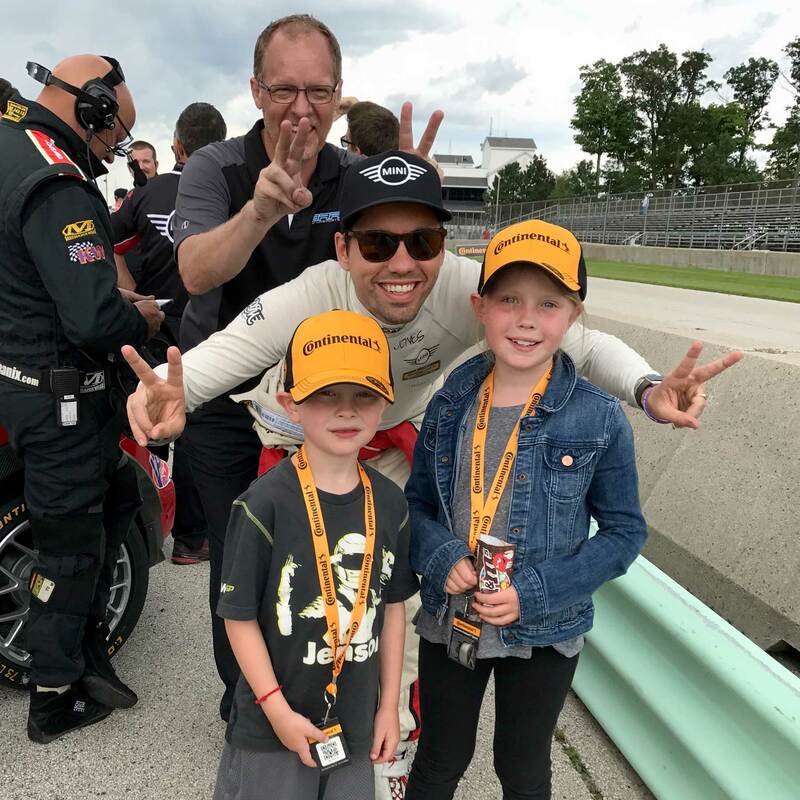 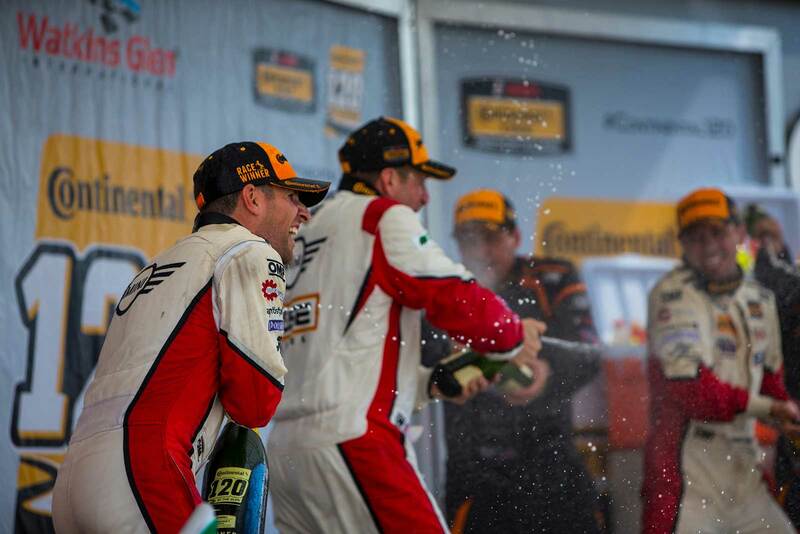 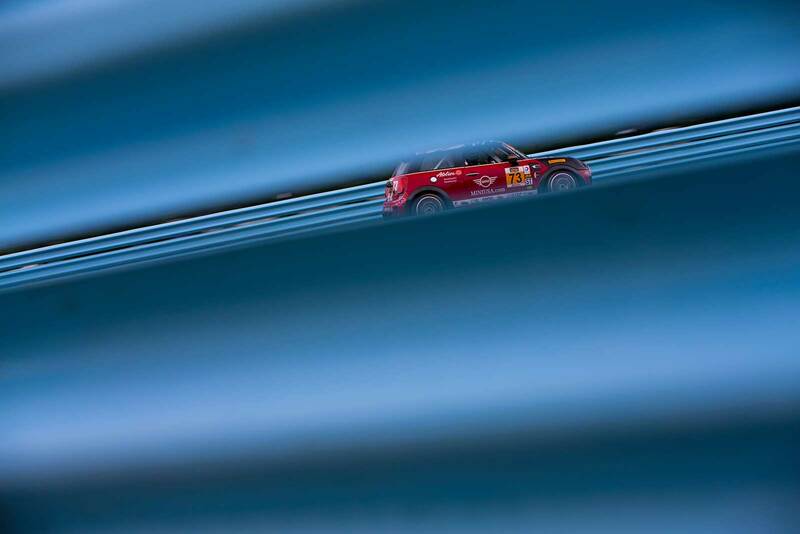 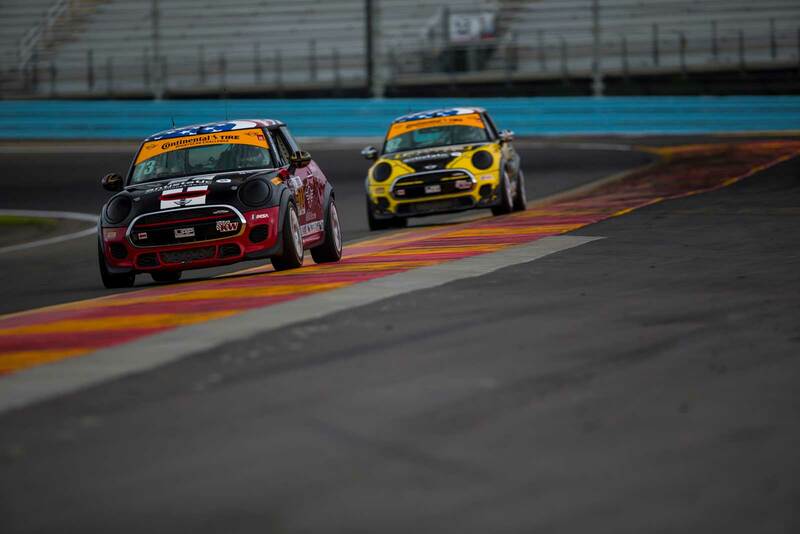 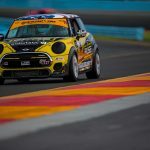 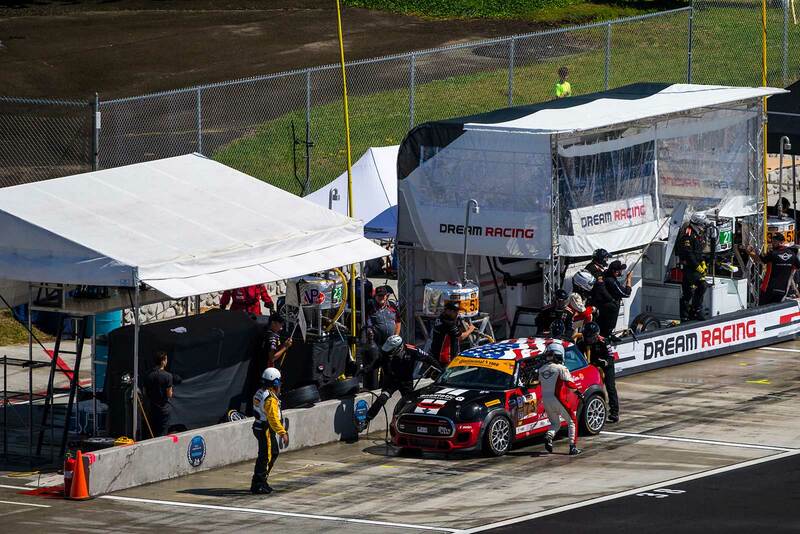 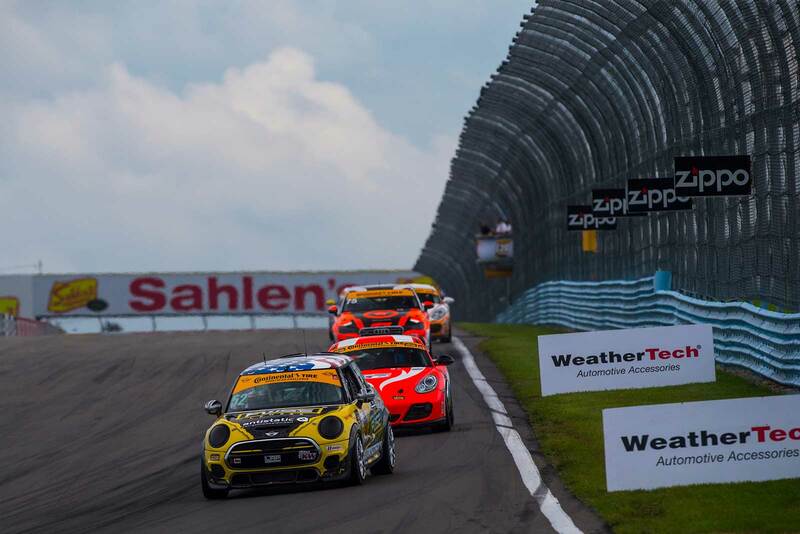 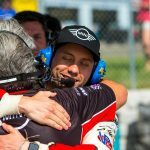 Mullan was a driving force in the success of the MINI JCW Team this season, qualifying the #52 in the front row in all but one race since joining the team at Mid-Ohio in May. 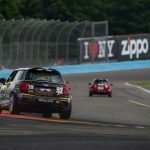 Perocarpi has raced professionally for years and won the Trophy Truck Spec class of the Score International BAJA 1000 in 2014, however, this will be his first professional road race in an LAP Motorsports-built MINI John Cooper Works racecar. 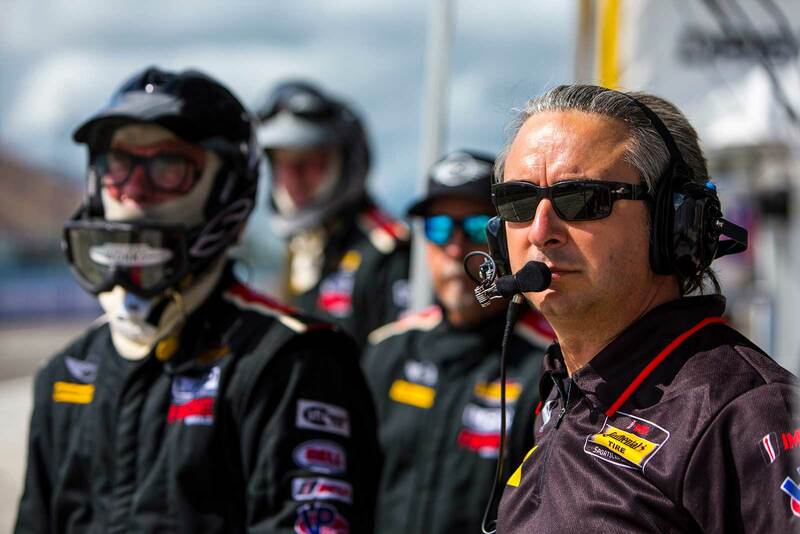 Perocarpi will join co-driver and Atlanta-native Mark Pombo piloting the #52 at the 2.54-mile, 12-turn road course northeast of Atlanta. 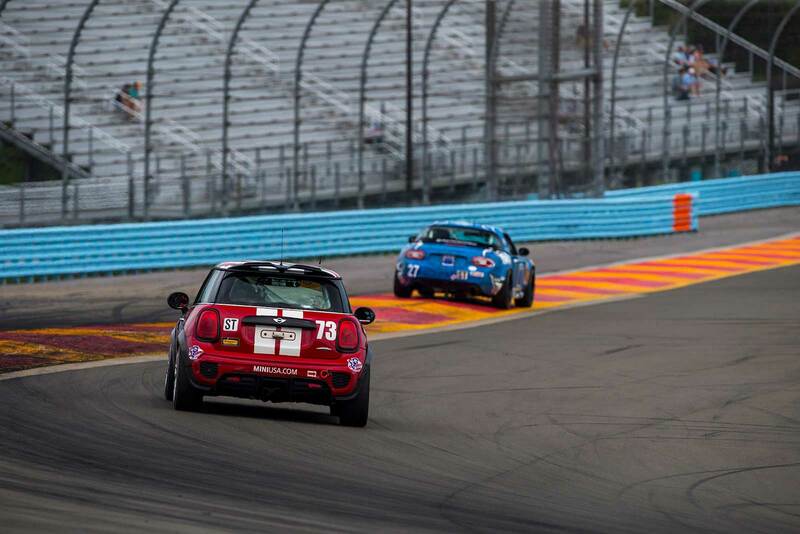 Pombo is currently in a tight battle for third place with the #21 Porsche Cayman. 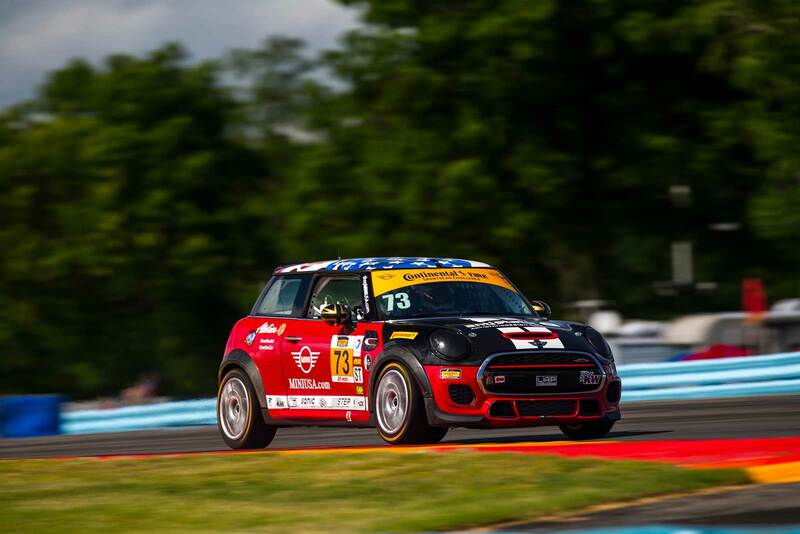 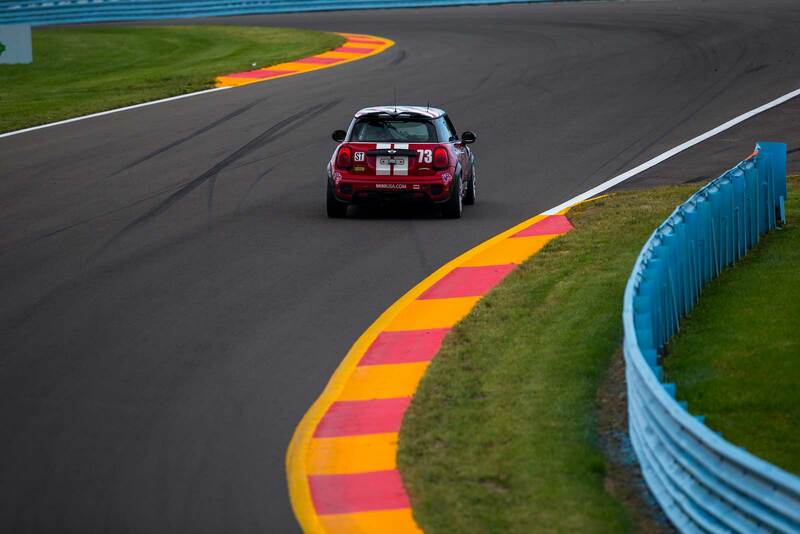 Pombo and Perocarpi will be joined by Mark’s brother Mat Pombo and 2013 ST Driver Champion Mike LaMarra in the #73 MINI JCW. 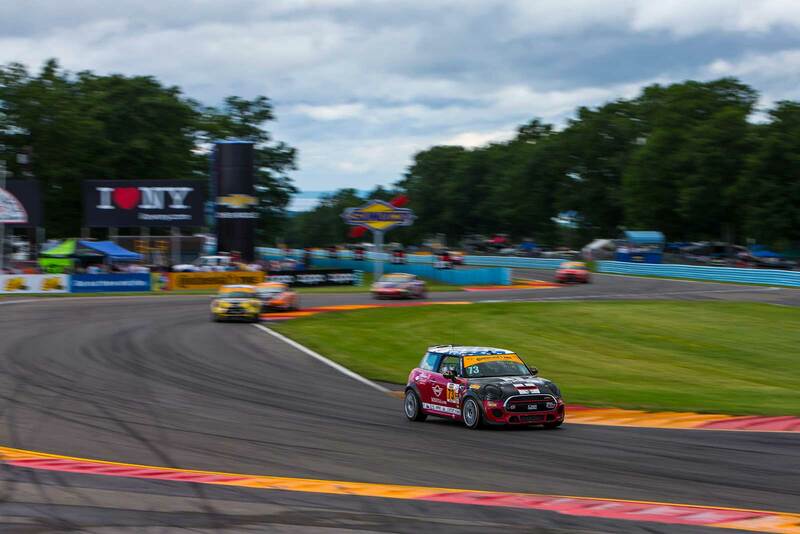 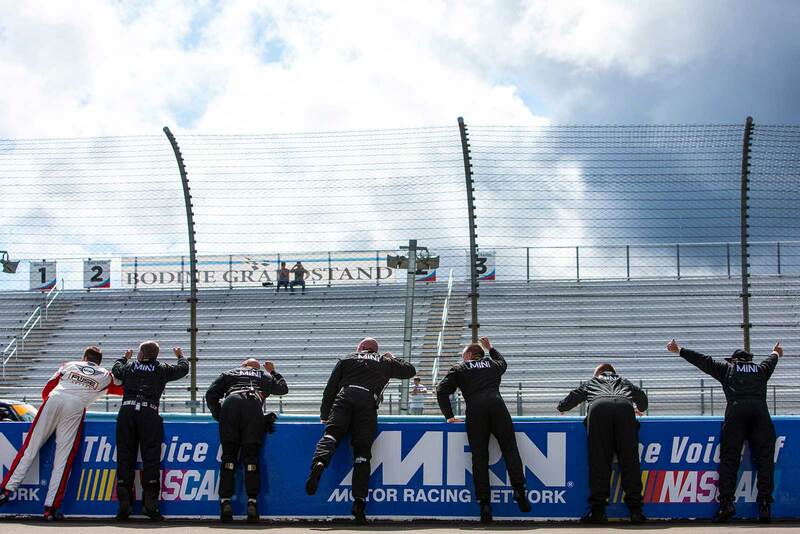 Pombo and LaMarra are currently in second place in the Drivers’ Championship standings behind the #81 BMW. 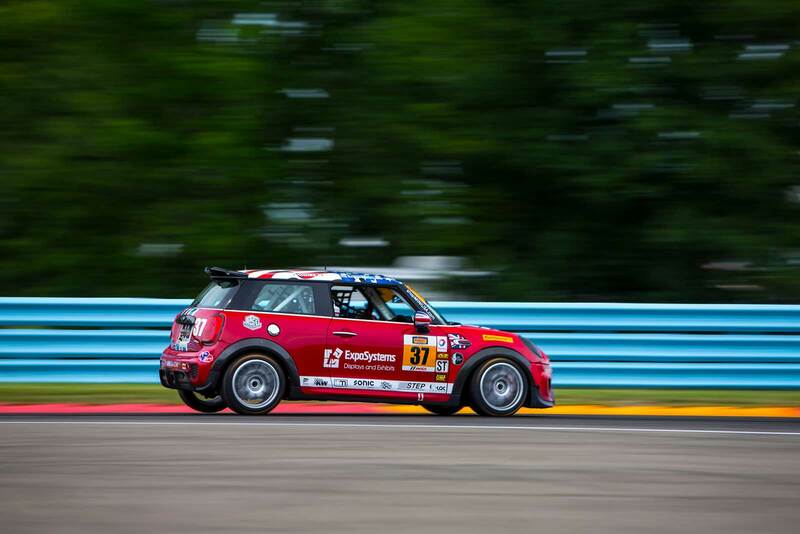 The #37 MINI JCW will be driven by Nate Norenberg and Derek Jones. 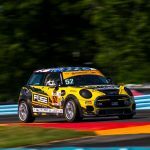 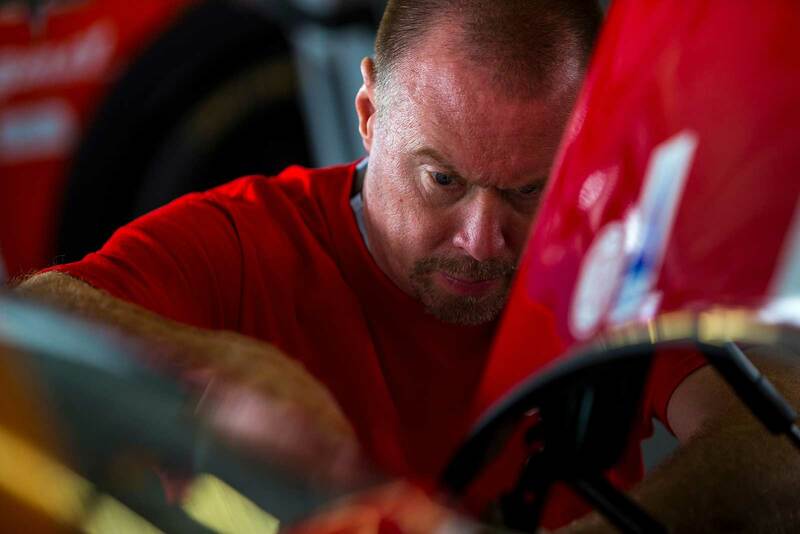 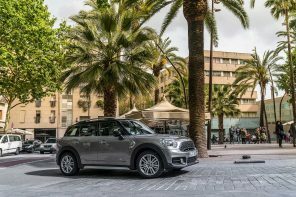 Throughout the entire season, technicians from MINI dealerships all over the country help support the team as part of the MINI Service Technicians Education Program (STEP). 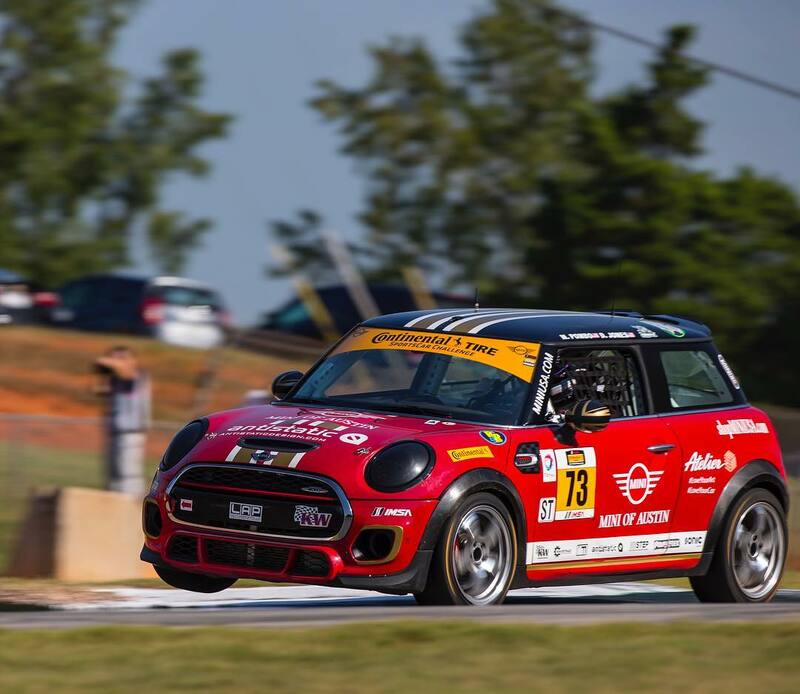 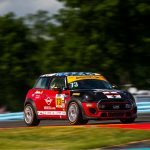 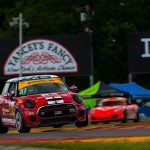 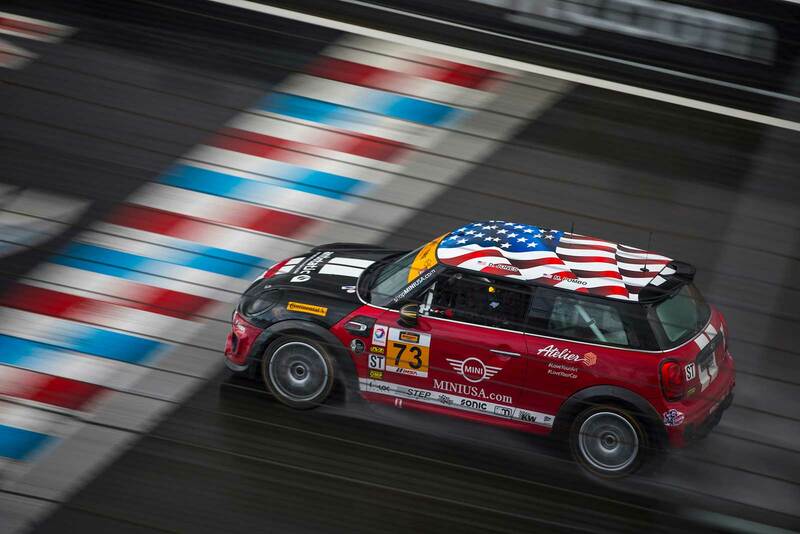 This weekend at Road Atlanta the team is supported by seven MINI technicians, two from Global Imports MINI in Chamblee, two from Mall of Georgia MINI in Buford, two from Tom Bush MINI in Jacksonville, Fla. and one from Cincinnati MINI in Ohio. 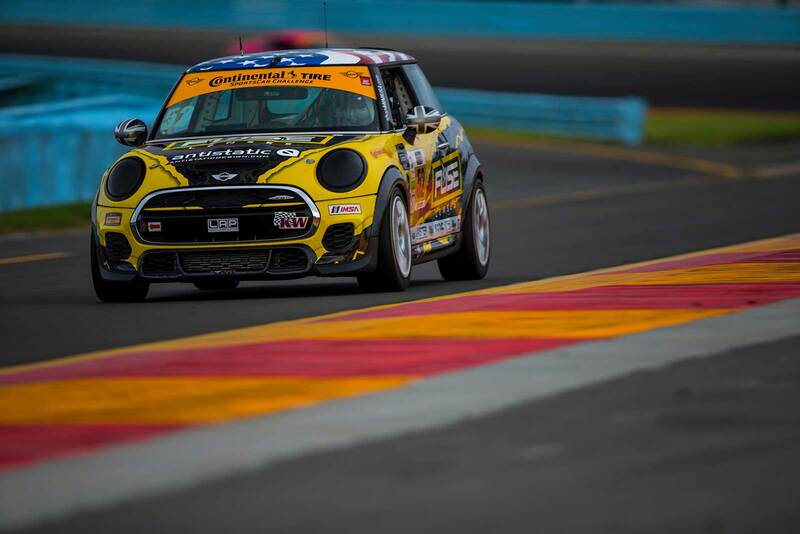 The team will also be supported at Road Atlanta by active U.S. Army Staff Sergeant Katrina Williams as part of Operation Motorsport. 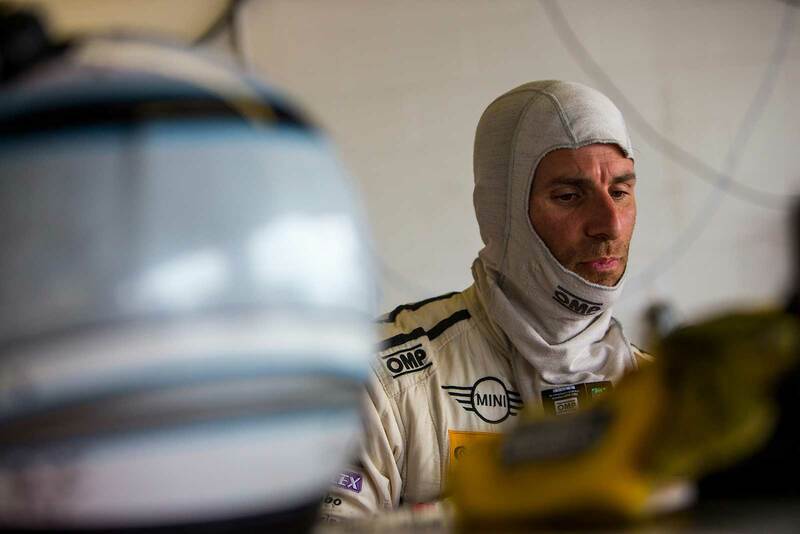 Williams, who is originally from Fort Lauderdale, Fla., has 14 years of service with the U.S. Army and currently resides in Cameron, N.C. 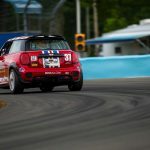 This will be Katrina’s second race supporting the MINI team this year.